Amber Heard could be looking at an eight-figure settlement in her divorce from Johnny Depp. 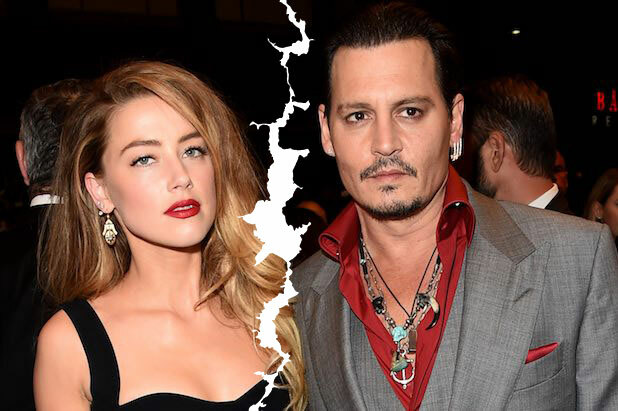 Family law specialist and Hollywood divorce lawyer Steve Mindel told TheWrap that, when the financials of Depp and Heard’s split are sorted out, the actress could be walking away with a jaw-dropping sum. According to Mindel, in the absence of a prenuptial agreement, Heard would be entitled to half of what Depp earned during their marriage, minus Depp’s business expenses and taxes paid on the earnings. Presumably that would include Depp’s earnings from “Pirates of the Caribbean: Dead Men Tell No Tales,” which filmed last year. “Johnny Depp made a lot of money in these 15 months, and she’s going to be entitled to a lot of money,” Mindel said. Heard’s financial entitlement also has the potential to stretch out for years. As Mindel explained, the actress, who wed Depp in February 2015, could receive a big slice of royalties and back-end money that Depp receives from his work done during their marriage. “She may say, ‘Look, my community property interest (in the marriage) isn’t just limited to the money that he made to do ‘Pirates.’ It’s the residuals that come off of that infinitum.’ So she would get half of those numbers less whatever his reasonable business expenses are,” Mindel said. Mindel told TheWrap that the spousal support is “probably the red herring in this case,” because of the brevity of the marriage and because the property division is likely to be “massive” and far greater than the spousal support would be. Shortly after filing for divorce from Depp on May 23, Heard was granted a temporary restraining order against Depp, claiming domestic violence. Still, Mindel opined that she probably won’t file a spousal tort claim. “I suspect that would be pretty hard to prove, and there would have to be pretty substantial domestic violence,” he said. However, Mindel said, the restraining order could have the effect of putting pressure on Depp. “The domestic violence charges, whether true or partially true, are a great bargaining chip for her,” Mindel said.